I have a movie suggestion for readers. It's not directly about horses. It's not even a new release. 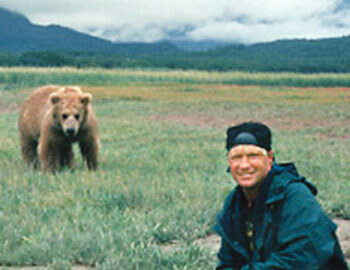 Have you heard of the movie documentary by Werner Herzog, Grizzly Man, about bear activist Timothy Treadwell? I've have seen this movie five times at least. It's so easy to love animals wholeheartedly. It's comparatively difficult to feel the same sort of pure love for the humans in our lives. Humans are so complicated and so exasperating. In my experience, the really passionate, over-the-top animal lovers seem to have trouble maintaining human relationships. Timothy Treadwell of Grizzly Man was certainly someone in this category. Treadwell lived with the Kodiak bears in Alaska for eight summer seasons. As he films himself and the bears, he talks a lot about what the bears mean to him. They gave him a purpose, and he saw himself as their caretaker and protector. I can draw parallels in my life, and was deeply affected by Treadwell's words. If you haven't seen it, fair warning. It's sad and does not end well. Ah, yes. Unfortunately, I know the ending. Treadwell took many foolish chances with the bears and was often criticized by wiser animal activist/researchers who knew far better than he how to interact with wild animals. While many of his observations are incredible and his photography/film records are amazing, I cannot watch any of it without thinking what a fool he was. While his love was genuine, I always have reservations in the back of my mind about the truths of what he believed--considering the ultimate outcome. Oh, there's no doubt in my mind he romanticized the bears and his relationship to them. Werner Herzog as much as says this. He took foolish chances and subjected his girlfriend to the same risks. He was a pain in the neck to park managers. But when I watch the movie, I'm drawn to his character, his loneliness, and his recognition that the bears saved him. He is ridiculed by Alaskans but when his friends are interviewed, you see a sympathetic side. One thing is true, he lived in one of the most isolated, harsh, and dangerous places in the wild, with inadequate supplies and equipment, and he managed pretty well for eight seasons. He was a fool, probably, but it's hard for me to write him off as just a fool. He was a complex guy. I've seen this documentary also. It's a very sad and pointed reminder that we do not actually know how the animal is processing data, and what conclusions they draw. It is easy to over-identify with (the animal of our choice) and lose the reality of who they are. Whether we ourselves do it or not to some degree, we've all seen that one owner in the barn who does not get that simply pouring out an abundance of love will give them a well-mannered, easy horse in return. I think love can work miracles, but it's definitely not enough, it's only one very important component. Very sad movie. I think he had some sort of mental illness to think he could get that friendly with bears. If you like crazy docs about animals, rent The Cove. It will blow you away! I think he was an egotistical idiot I'm afraid. Utterly compelling viewing but for me I'm afraid I couldn't feel regret and was just astounded by how many utterly odd people were dragged together in one film. I found this a gripping film. The pilot's story of stumbling on the killer bear is one of the most frightening things I've ever heard. As for Treadwell, he was a fool that gave no consideration to anyone else: he made his choice for himself and nobody else. I had no sympathy for him whatsoever. My sadness is that his companion fell for his game and died horribly because of it. Having spent several summers in Alaska, you can't throw a rock (in town) without hitting someone like Treadwell, folks on the fringe living by their wits. They are convinced that the wilderness can be bent to their ideas. Grizzly Man is a fable about the tragic fate of one such man and I hope serves as a warning to others who would fall into similar delusion. 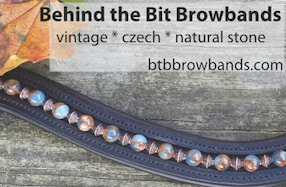 Thanks for the post, I enjoy your blog a lot! Alas, I'm alone in my fondness for this poor sad character. But, I haven't been to Alaska, and I'm sure that kind of attitude wears thin. Did anyone at least enjoy his sense of humor? This man is a complete idiot. My husband and I bought this movie thinking it would be a really cool/insightful nature film; but that's the last thing it was. This guy had a load of mental issues and he got what he was asking for. People need to realize these animals are PREDATORS, not fuzzy teddy bears you can get close to. People need to educate their children on the dangers of nature and not let them grow up thinking it's something that can be dominated or befriended. He had no respect. I have seen the documentary. I believe that he needed the bears to survive, to give him a reason live. I think they became his next addiction. The bears did save him, but his love for these animals gave him a false sense security; his ego got in the way. I felt sad for him. This man has been justly reviled and ridiculed by many. He was an emotional and psychological con man. I think you should watch the film a few more times, better yet, read about this man and you get get more insight into this man's egotism and narcissism. That girlfriend who was eaten with him was just one of several he took to the wilderness over the years. He always made sure he had a girl to tend to his needs. He preferred ignorant people who looked up to him so he could always shine. As for the sense of humor - aside from that nasty serial killer habit, Jeffrey Dahmer also had an excellent sense of humor. For me, the movie highlighted the human need to interact with animals in a way that allows some form of psychological one-ness or possession to occur. Treadwell wasn't content sitting back and marveling at the intricacies and miracles that underpin all animal to animal interactions. He wanted to insert himself into that interaction, to possess a part of it, to become more than a human observing on the fringes. I think it's an ancient human impulse on some level. If you think of how many cultures wear pieces of animals or dance/speak/etc. to mimic animals, it makes some sense. Even as I write this, I'm sitting here listening to our geese honk and fight and set up a ruckus. The days are lengthening, and they are starting to begin the slow movement toward mating. This involves a lot of dominant behavior between males and posturing and flirtation on the part of the females. I love watching them, and, yes, I sometimes wish I could get closer to them, sit among them, somehow become part of their elaborate rituals; but when I try, it breaks the beauty and mystery of their society. Treadwell's insistence on inserting himself into the life of the bears is what ultimately brought him and his companion to a bad ending. I argue that he was doing more than anthropomorphizing the animals, but I don't necessarily think he was insane. I think it's a very natural desire; it's just that some of us have learned better impulse control and suppress said desire. Hi Panavia -- I have to differ with you here, having read pretty much all the material out there that I'm aware of (movie, movie reviews, two books, articles, Newspaper accounts -- he did NOT take women with him routinely, and in fact the woman who went with him (and died with him) was no bimbo. He spent the vast majority of time up there alone, as his video will show -- there was never anyone holding -- just him and the tripod. If you're going to compare him to Daumer, you might as well compare him to Hitler, both are equally outlandish and inappropriate. He may have been a fool but he was not hateful, and every one of us has an ego to be stoked, whether we admit it or not. I didn't say she was a bimbo, I said she didn't know what she was getting into. From my reading, the man was a user and a narcissist. I totally agree with John/wngl. I have to laugh -- I had intended to post this on a low readership day (Fri/Sat) b/c I thought no one would care or respond. I'm glad more people have seen this movie than I'd thought, and I appreciate all of your replies. I am saddened to see all of the people who are judging him so harshly. This was a guy with mental issues, who invented a kind of fairy-tale world for himself in which he could leave the real world behind and become part of nature, accepted by the most dangerous animals he could find. He was a sad person who took foolish risks because he was deluded, and it's amazing that he lived as long as he did -- but saying that "he got what he deserved" seems unduly harsh to me. He invented a world in which he was happy, and needed, and special, and in the end it killed him. Very sad person, very sad story, and also a bad outcome for the bears who had to die because of his folly. We can, and I hope still do, have compassion for this individual who wanted this so very, very much, and whose mental state made him think it was possible. Well, he definitely reaped what he sowed. I just don't have sympathy for him, except that last hour of life. ouch.